Actually, everything I know about them has been learnt from the books and mass media. But I’m a child of the twenty-first century who is rather proactive and not indifferent to the problems of people. 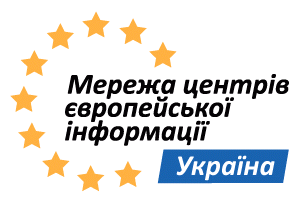 In 2012-2013 I became a president of the Euroclub at our Gymnasia. That’s why I’m worried about the law problems in the world and in Ukraine as well. In 1791 ten Amendments of the Constitution of the USA known as “The Bill of Rights” were ratified. The Amendments guaranteed the citizens of the USA the freedom of the press and speech, the conscience and the assembly. The law protected the inviolability of the person and the property. Having adopted these Amendments the American government was made to keep them and to protect the rights of its citizens. The Bill of Rights has not only had an important impact on the American life but on the world in general. For citizens of the USA it was the so called “support” they could rely on. All the citizens became aware of their rights. Looking through the Bill of Rights one can say that the citizens of the USA had all conditions for good living. They freely expressed their thoughts in mass media concerning the religion and the politics, they assembled peaceably, wrote complaints. It has had a great impact on the world as well. The majority of the documents were worked out according to its model. The Bill of Rights in the USA is the main principle for most of the state documents in the world all over. We can’t say that the Ukrainian laws aren’t obeyed or not complied with either. They are partially complied with. Ukraine has the documents like The Bill of Rights but they are called differently. As it has been already mentioned, all citizens of the USA had their rights for protection. They knew the state was going to protect them and the law was on their side. Let’s compare Ukraine and the USA. People assemble peacefully in public places, express their opinions, publish and write whatever they wish in our country. Unfortunately, people show no respect for all the religions in the comparison with the USA. Even high fines do not work. Thus in Ukraine one can get a very high fine while driving on the road without breaking the law or rules. In the USA citizens know the amount of money and the terms of paying the fines. Another important thing is that anyone is responsible for committing a crime in the USA, no matter what civil or social status they have. All people enjoy equal rights: a Member of the Parliament or a scrubwoman. Anyone takes a penalty and it can’t be different. So The Bill of Rights is a document that’s become a guarantee of constructing a democratic society and a vivid example of the human rights protection. It would be great to have such a society which would ensure the implementation of laws and the human rights respect. I would like our country to have a similar Bill of Rights and our citizens to be law-abiding. I’ll try to take pains and my proactive stance at Gymnasia to make this process go much quicker.